Water flow adjustable function, continuous working block system. 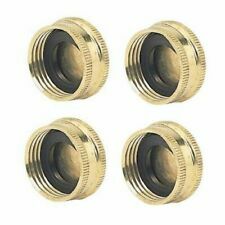 Brass Garden Hose Cap with Washer (lot of 4). Ihrrelativ direkter Draht zu uns. Einsatzgebiet Einsatz am Schlauchende. Sanitär Heizung Installation Werkzeuge Elektrowerkzeuge Arbeitsschutz Betriebseinrichtung Werkstatt-Ausstattung. Gerillte Griffmulden aus Weichkunststoff machen die Handhabung besonders angenehm. 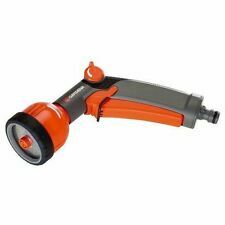 This spray nozzle is used in conjuction with the Lesco Chemlawn Spray Gun for lawn care. and agricultural spraying applications, including the spraying of herbicides, pesticides. It features a fiberglass reinforced lever and an ergonomic design for comfort. 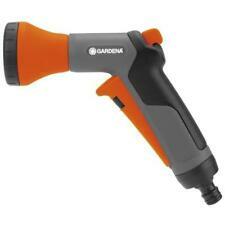 This garden nozzle has nine different spray patterns making it ideal for a variety of uses. It is good for washing your car, cleaning your deck and misting your plants. Dieses Set ist die preiswerte Alternative für die Bewässerung kleinerer Flächen. Der Sprühregner ist fest auf einem Spike montiert. Mit diesem können Sie den GARDENA Classic Sprühregner einfach und fest im Rasen oder Boden fixieren. The Nozzle fits any standard hose and adjusts from powerful sweeper to spray for watering plants, to even a pin point stream! The Little Big Shot Super Nozzle is a simply superior and EARTH-FRIENDLY hose nozzle! Have a snap-in swivel coupling with shut-off. 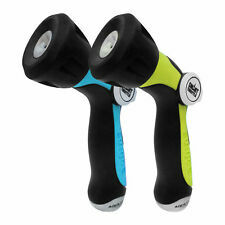 Impact resistant ABS body plus 2-way hose connection with variable flow regulator. Professional tap adaptors for all around the year use. Swivel switch to “L R" both left and right adaptors will open. Swivel switch to “OFF" both adaptors will be closed. 4 tap swivel tap adaptor. 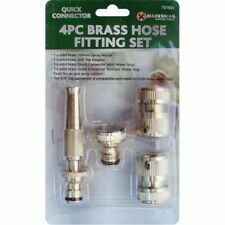 Perfect for making one garden tap into 4 different hoses or purposes. 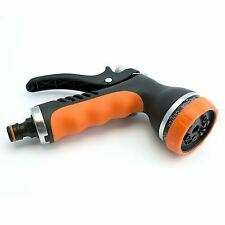 1 x Car Foam Wash Gun. Eight kinds of spray (mist/cone/rinse/stream/shower/jet/center/flat). Foam car wash: 3 grades adjustable. Color: Green. Material: ABS Plastic. Rainbird adjusting tool/screw driver tool. This will make adjusting you rainbird rotors a snap and very easy to use. Hose end sprayer. Hand Tools And Tool Accessories. Power Tools. Three settings - off, on or water only. CHANGING OR CANCELING YOUR ORDER Sprays 1 to 20 gallons. Notions And Miscellaneous. Stationery Supplies/Office Equipmnt. Komplettset: Gartenschlauchgarnitur beinhaltet eine Wasserbrause, Schlauchverbinder und Hahnverbinder. Wer auf das lästige Schleppen von schweren Gießkannen verzichten möchte, ist mit diesem praktischen Flexwasserschlauch genau richtig beraten. Our 8 Litre pressure sprayer has a powerful pump action and is shatterproof and frost resistant. The sprayer is ideal for gentle watering of seedlings or for use with Pesticides and Insecticides etc. Size: 20M (60ft). cools the surrounding air temperatures up to 20 degrees. Color: Black. Great for cooling your outdoor living areas. They are made from durable and high quality materials and fitted with a comfortable rubber grip. What are you waiting for?. MAINTAIN FLOW AND PRESSURE- These quick connectors will not impede or slow the water flow or pressure from your garden hose. Great for agriculture, lawn, garden, patio, greenhouse ,swimming pool misting fog cooling/irrigation, watering, greenhouse, humidification, balcony cooling, irrigation (watering flowers, grass, vegetables). These are for reference only and should be considered illustrative. Sales & Specials. UPC 049291008104. Product images are for illustrative purposes only and may differ from the actual product. Due to differences in monitors, colors of products may also appear different to those shown on the site. From Fine Mist To Powerful Spray. Fits most regular garden hoses, great for cleaning cars, house, and much more. Aluminium Core With Soft Cover. • Micro-Sprüher auf 12,5 cm langem Erdspieß montiert. • Hervorragende Gleichmäßigkeit der Wasserverteilung. - Druckbereich: 1 bis 2 bar. 2 In line tap with 4 female hose fittings. Compact, and beautiful this mister can be more functional than plastic bottle misters. Since these are made from brass, it gives a certain charm and elegance when displayed. 10m/33' Outdoor Garden Patio Misting Cooling System 10 plastic mist nozzle. Great for agriculture, lawn, garden, patio, greenhouse ,swimming pool misting fog cooling/irrigation, watering, greenhouse, humidification, balcony cooling, irrigation (watering flowers, grass, vegetables). In line tap with 2 female hose fittings for 1/2" hose. Center Strip Pattern Replacement Spray Nozzle With Matched Precipitation Rate Assuring Uniform Watering When Different Patterns Are Mixed In The Same Zone Fits Most Underground Pop Up Sprinklers Adjustable From 3' x 20' To 4' x 30'.Rain Bird MPR Center Strip Nozzle with 4' x 30' Spray Distance sprays an equal distance and provides an equal amount of water to a given area. MPR nozzles are designed to provide uniform coverage ensuring that your lawn is green throughout with no dry or brown spots. Adjustable distance screw Matched flow rate nozzles assure uniform watering even when different patterns are mixed in the same zone Compatible with all Rain Bird Pop-up Spray heads Spray Distance: 3' x 20' - 4' x 30'. Sélecteur 2 circuits Y - 3/4 de RACO EXPERT.